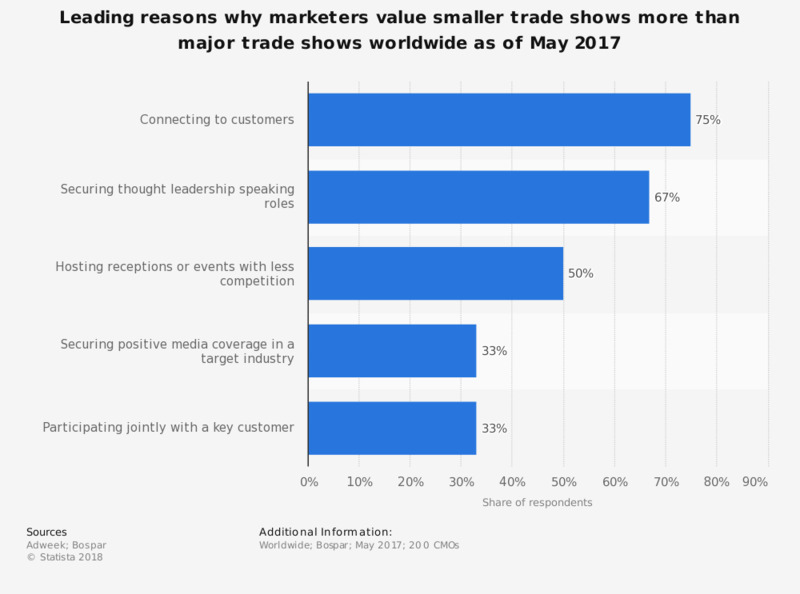 This statistic presents the leading reasons why marketers value smaller trade shows more than major trade shows worldwide as of May 2017. The survey results show, that 50 percent of respondents believed smaller trade shows allowed them to host receptions or events with less competition, as opposed to major global trade show such as SXSW or Money200. In general 92 percent of respondents saw small trade show as better investment.